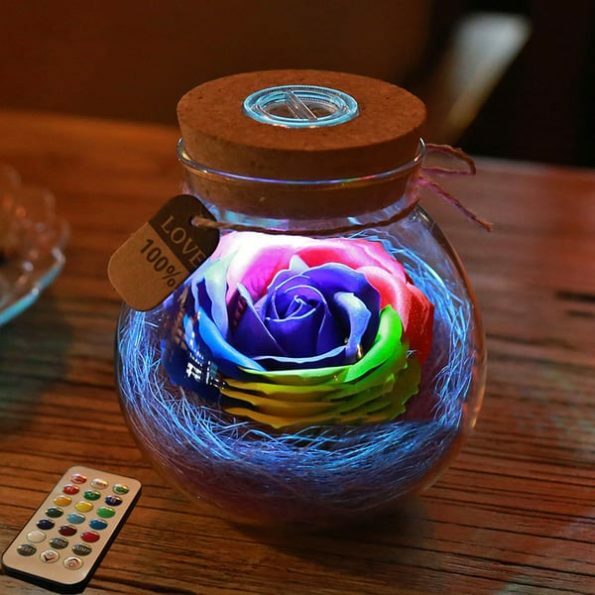 This beautiful rose light bottle is an eye-catching accent for table top or bedside. 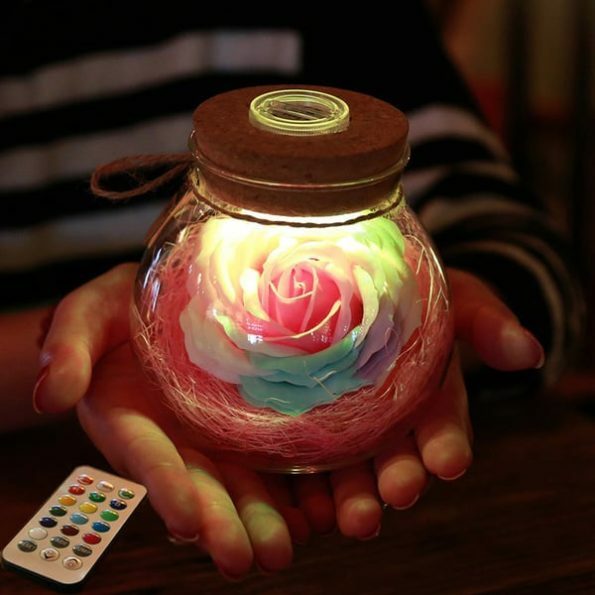 This wonderful rose light bottle creates romantic and magical moments when the kept upon table for two or an elegant patio party. It has got customized light control in a remote manageable with your fingertips. It is indeed an appealing gift for any occasion!. It comes with 13 customized light colors, dimming and timed color changing features.